On this day, November 23, in 1887, William Henry Pratt was born in Camberwell, England. In 1909, an athletic and adventurous young man of 22, Billy Pratt set sail for Canada, chosen over Australia by a lucky coin toss. He arrived at Montreal on May 17 and headed west, working odd jobs as he traveled across the Prairies, over the Rockies and into British Columbia. Somewhere along the way, he fell in with a theatrical troupe and found his true calling. Adopting the ominous sounding stage name of Boris Karloff, the young actor barnstormed all over America with two-bit stock companies, learning his trade. In 1919, he landed in Los Angeles where the new business of making motion pictures was underway. Karloff’s gaunt profile and dark complexion landed him the usual villainous parts of the day, playing Hurons, Arabs, French-Canadian trappers, Mexican outlaws, evil princes and assorted henchmen. 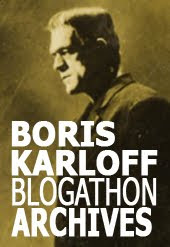 In 1926’s The Bells, Karloff memorably plays a Mesmerist copied off Werner Krauss’ Dr. Caligari. In 1931, director James Whale picked Karloff to play The Monster in Frankenstein. To Karloff, it was just another job, one of 18 films he made that year. Frankenstein, of course, was a sensation and Boris Karloff was not only propelled to movie stardom, but his version of the Monster attained mythic status. 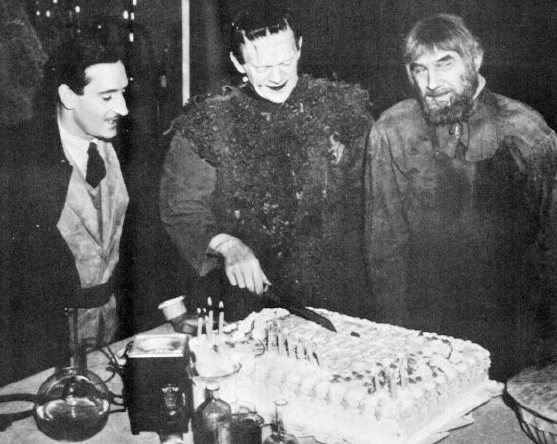 We celebrate another Karloff family birthday, today. On this day, November 23, 1938, Karloff donned his Frankenstein gear and reported to the set at Universal to film the mirror scene with Basil Rathbone in Son of Frankenstein. The crew surprised Boris with a birthday cake. That very same day, there were more celebrations on the set when word came that Boris’ wife, Dorothy, had given birth to a baby girl, Sara Jane. 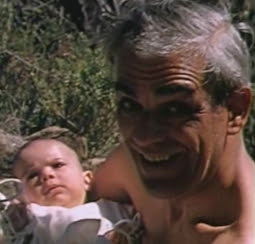 Today, Sara Karloff keeps the memory of her father alive, appearing at conventions and operating the official Boris Karloff website. In 1996, with the complicity of fellow monster-star offspring Bela Lugosi Jr. and Ron Chaney, Sara Karloff successfully petitioned the US Post Office into issuing stamps honoring their famous fathers. And yet another happy coincidence: Christopher Lee’s daughter, Christina, was born on this date, in 1963. 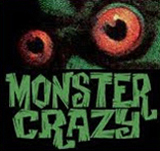 Lee, of course, is another actor whose career was launched playing Frankenstein’s Monster. From all of us Frankenstein fans, here’s a heartfelt happy birthday to dear Boris — the most famous Frankenstein of them all — and to the Daughters of Frankenstein, Sara Jane Karloff and Christina Lee. The photo of Karloff with Basil Rathbone and Bela Lugosi comes from the Basil Rathbone website where you can see more pictures from the Son of Frankenstein set. 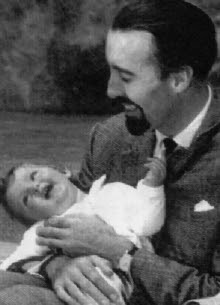 The photo of Christopher Lee and daughter appears in Lee's autobiography "Tall, Dark and Gruesome". Wow, those are great pics. I'll come back later and read through it.